Is a famous tourist spot in Lombok. Located on the west coast of Lombok Island, Senggigi beach is not as big as in the Kuta Beach, Bali, but once we were here will feel like staying in Kuta Beach, Bali. Coastal beaches are still beautiful, although still not arranged neatly. 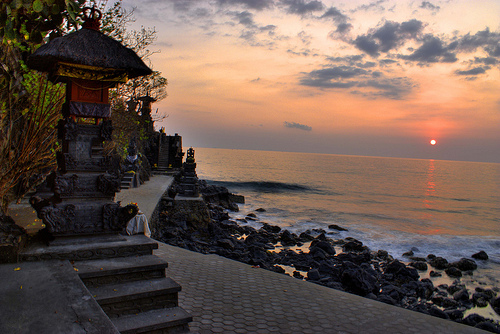 Senggigi beach will be satisfied can be enjoyed from hotels and resorts along the coastline which indeed have their own beaches and well-managed. 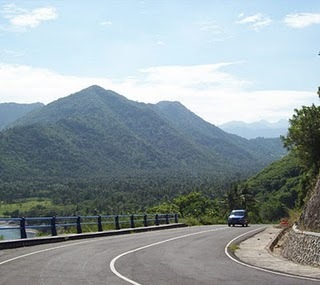 Famous tourist destinations in Lombok can be reached by traveling 15 minutes from the city of Mataram. Surfing, canoeing, snorkeling or even can be enjoyed here. If you want to enjoy the beauty of the universe, this beach will bring you into the clouds into the beauty there is no limit just before sunset. Very beautiful underwater scenery, and tourists can do snorkling much as you like because the wave is not too large. Ketengah towering coral reefs cause waves amid the broken. While in certain places have enough to enjoy the waves while surfing.